← FTA says fuel duty cut would protect UK economy. Could a dirty diesel car scrappage scheme benefit air quality? A scrappage scheme aimed at removing the dirtiest diesel cars from the roads would have to be on a huge scale to have any significant effect. Analysis by the RAC Foundation found that approximately 1.9 million diesel cars fall into the oldest, most polluting Euro standard categories: 1, 2 and 3. 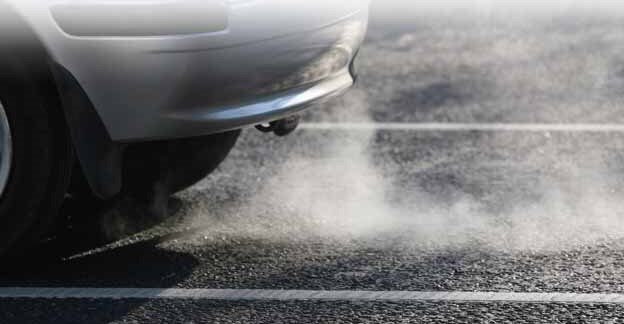 They account for some 17% of all diesel cars on the road (11.2 million in total) and are responsible for 15% of total NOx emissions from diesel cars based on estimates of real world driving data and annual mileages from MOT records. The analysis calculated what might happen if a scheme was implemented along the same lines as that run in 2009/10 as an economic stimulus for the car industry. This would take 400,000 of the oldest diesel cars off the road at a cost of some £800 million with the government and manufacturers both contributing £1,000 each to help people who trade in their existing vehicle replace it with a new model. If every one of the 400,000 older cars was replaced with a new zero-emission electric vehicle then the cut in annual NOx emissions from the diesel fleet would be about 4,900 tonnes or 3.2% of the total emissions from diesel cars. This drops to 2,000 tonnes per annum (1.3% of the total) if the scrapped cars were replaced with the latest Euro 6 diesel models and driven the same distance as those scrapped. This entry was posted in automotive and tagged air quality, car scrappage, chrismacgowan, christopher macgowan, christophermacgowan, philip gomm, RAC, RAC Foundation, Royal Automobile Club, scrappage, scrappage scheme. Bookmark the permalink.